Deliver supports all major online services: FTP, SFTP, Google Storage, Amazon S3, WebDAV, Secure WebDAV, AFP, SMB, as well as local destinations. Deliver notifies recipients automatically once delivery is done, so you don't need to lift a finger and babysit your files. Create email lists for each destination as well as global lists via templates, and add addresses directly from Address Book. 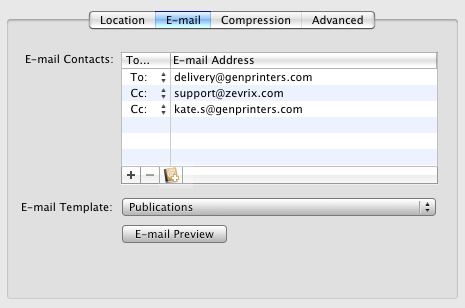 The file can be downloaded automatically just by clicking a link in the e-mail message. 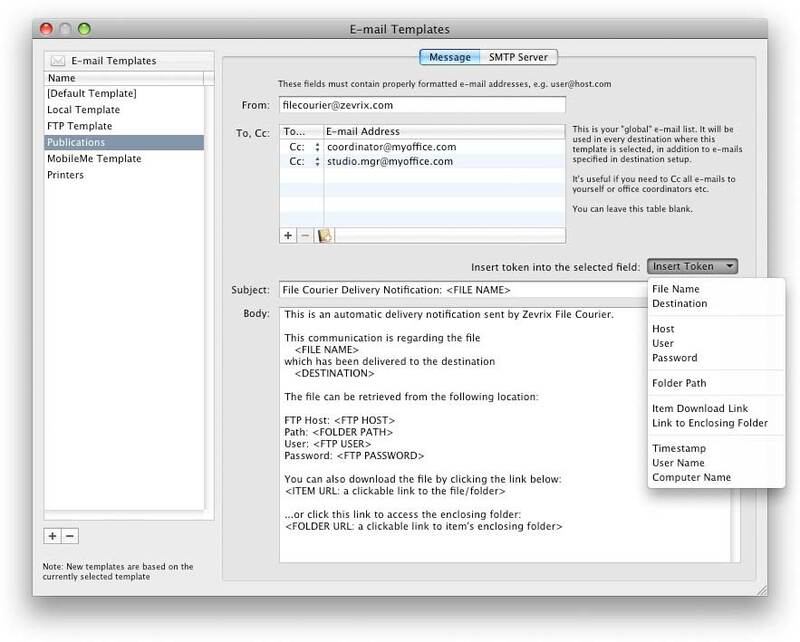 The e-mails are based on powerful variable templates. 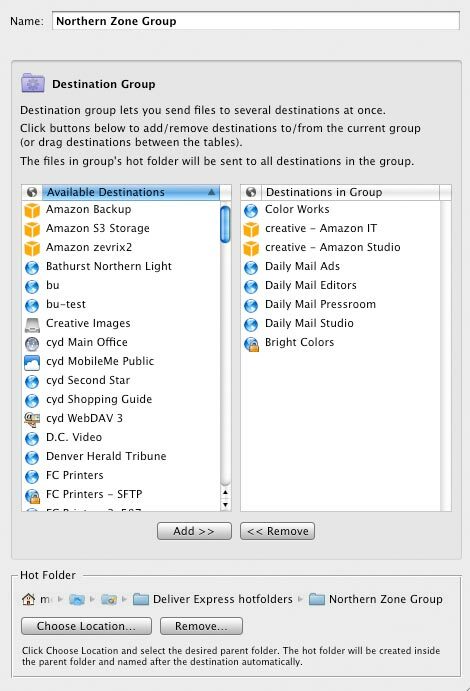 Include variable data such as file name, destination, server location, hyperlink to your file or its enclosing folder, and more. Just select multiple destinations in the Dispatcher window. Files and folders can be compressed in either .zip or .dmg format. And you can specify a password to encrypt disk images automatically. 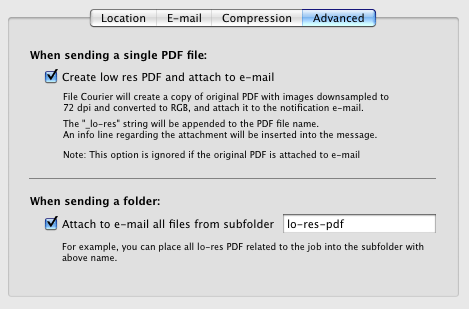 If you send a PDF file, Deliver can create its lo-res RGB version on the fly and attach it to the notification e-mail as an instant preview for your recipients. 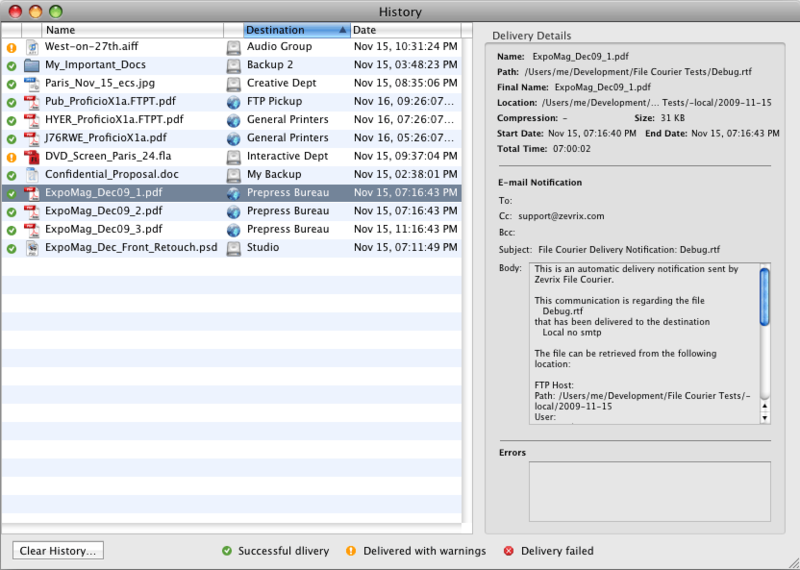 Track your files easily in the History window which provides detailed info on each delivery. Deliver destinations are saved as plain XML property list files so they can be easily created and imported by your existing database solutions. And you can also import History since it's a .plist file, too. Send InDesign output files and packaged jobs automatically with Deliver through its seamless integration with Output Factory and InPreflight Pro. Please see the product pages for more info.